New Proxes CF2 has been created to take advantage of the latest materials, structures and tread pattern design in order to guarantee a high level of safety, durability, savings, and comfort. Proxes CF2 benefits from an improved tyre construction and a new full-silica tread compound. The new tyre has a longer tyre life, better wet performance and lower fuel consumption. 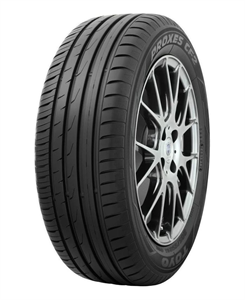 Proxes CF2 is the choice for drivers looking for a high performing and safe tyre for medium and high powered cars.